The biggest mover down the rankings is Manama in Bahrain, which has dropped to become the 277th most expensive location in the world. The biggest mover up the rankings is Baghdad in Iraq, which has risen to be the 469th most expensive location in the world. Manama is 11% less expensive than Doha in terms of overall cost of living. In fact overall, Manama is only the seventh most expensive city in the Middle East. Manama is less expensive for the big ticket items which comprise a larger portion of an expatriate’s budget, such as housing and healthcare. A surprising result this quarter is that comparing the cost of living excluding housing, education, healthcare and transport actually results in Manama being marginally more expensive than Doha as it is slightly more expensive for clothing, groceries, recreation & culture, and meals out. 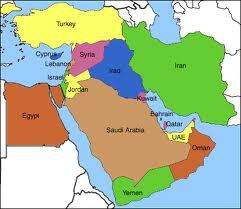 For further cost of living information on the Middle East go here. This entry was posted in cost of living rankings and tagged Abu Dhabi Cost of Living, current cost of living, Doha Cost of living, Dubai Cost of living, International Cost of Living Ranking, Middel East Cost of living ranking. Bookmark the permalink.